During SDCC ’15 a website (who shall not be named) revealed that Ben Affleck and Geoff Johns were co-writing a solo Batman feature and they were ready to hand in the first draft. Ben Affleck also had the choice to direct the feature and not much has been heard of on that front since then. In a recent interview with Total Film, Affleck and Producer Charles Roven talked on the possibility of Affleck directing. 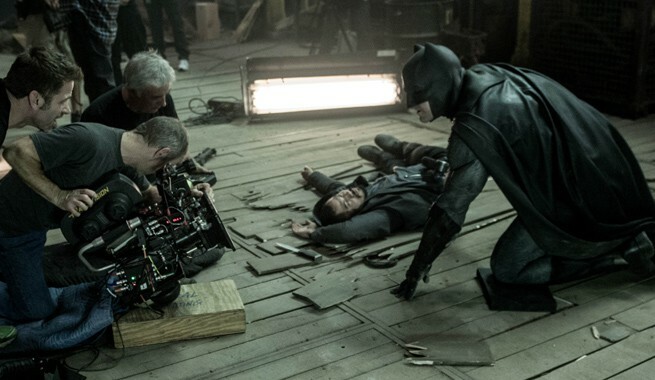 Affleck, who we all know is an Academy Award winning director, would be the perfect choice to direct a Batman movie. He is known for directing himself and Batman would be a no brainer for him, if it fits his schedule. According to Charles Roven it’s a subject that has already come up. If you’re one of the people who think Affleck should direct the solo film featuring his interpretation of the Caped Crusader this should be awesome new for you. It sounds like, if they work the schedule out, a Batman film directed by Ben Affleck is becoming more likely to happen. The Batman solo film is rumored to be titled The Batman and hit theaters sometime in 2018. Batman v. Superman: Dawn of Justice hits theaters March 25th, 2016!